This U.S. Ceramic Tile Color Collection 2 in. x 2 in. 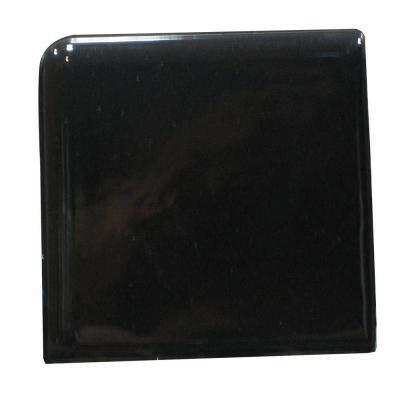 Bright Black Ceramic Surface Bullnose Corner Wall Tile features a smooth, glazed finish with bright, polished look to enhance any space. The uniform tone offers color consistency from piece to piece and complements a variety of decorating elements as well as matching trim pieces, letting you create the look that best suits your space. The corner trim is suitable for indoor use and is a great finishing touch to backsplashes or shower surrounds. You can buy this product in our internet market. We will be glad if you make the right choice.